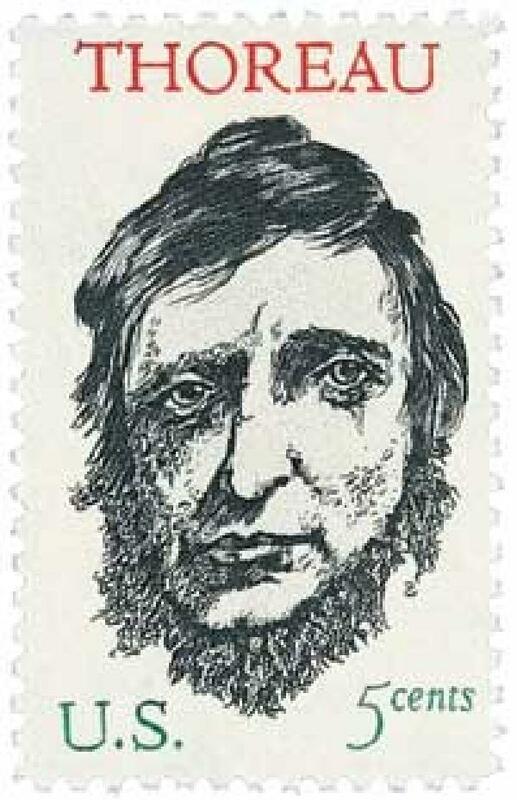 THOREAU, HENRY DAVID (1817-1862). —Essayist, poet, and naturalist, was born at Concord, Massachusetts. His father, of French extraction, from Jersey, was a manufacturer of lead-pencils. He was educated at Harvard, where he became a good classical scholar. Subsequently he was a competent Orientalist, and was deeply versed in the history and manners of the American Indians. No form of regular remunerative employment commending itself to him, he spent the 10 years after leaving college in the study of books and nature, for the latter of which he had exceptional qualifications in the acuteness of his senses and his powers of observation. Though not a misanthropist, he appears in general to have preferred solitary communion with nature to human society. "The man I meet," he said, "is seldom so instructive as the silence which he breaks;" and he described himself as "a mystic, a transcendentalist, and a natural philosopher." He made such money as his extremely simple mode of life called for, by building boats or fences, agricultural or garden work, and surveying, anything almost of an outdoor character which did not involve lengthened engagement. In 1837 he began his diaries, records of observation with which in ten years he filled 30 vols. In 1839 he made the excursion the record of which he in 1845 published as A Week on the Concord and Merrimac Rivers. Two years later, in 1841, he began a residence in the household of Emerson, which lasted for two years, when he assisted in conducting the Dial, and in 1845, after some teaching in New York, he retired to a hut near the solitary Walden Pond to write his Week on the Concord, etc. Later works were Walden (1854), and The Maine Woods (1864), and Cape Cod (1865), accounts of excursions and observations, both published after his death. Thoreau was an enthusiast in the anti-slavery cause, the triumph of which, however, he did not live to see, as he died on May 6, 1862, when the war was still in its earlier stages. The deliberate aim of Thoreau was to live a life as nearly approaching naturalness as possible; and to this end he passed his time largely in solitude and in the open air. As he says, "I went to the woods because I wished to live deliberately, to front only the essential facts of life, and see if I could not learn what it had to teach." To his great powers of observation he added great powers of reflection, and two of the most characteristic features of his writings are immediateness and individuality in his descriptions of nature, and a remarkable power of giving permanent and clear form to the most subtle and evanescent mental impressions. "Henry David Thoreau: His Character and Opinions," by Robert Louis Stevenson.